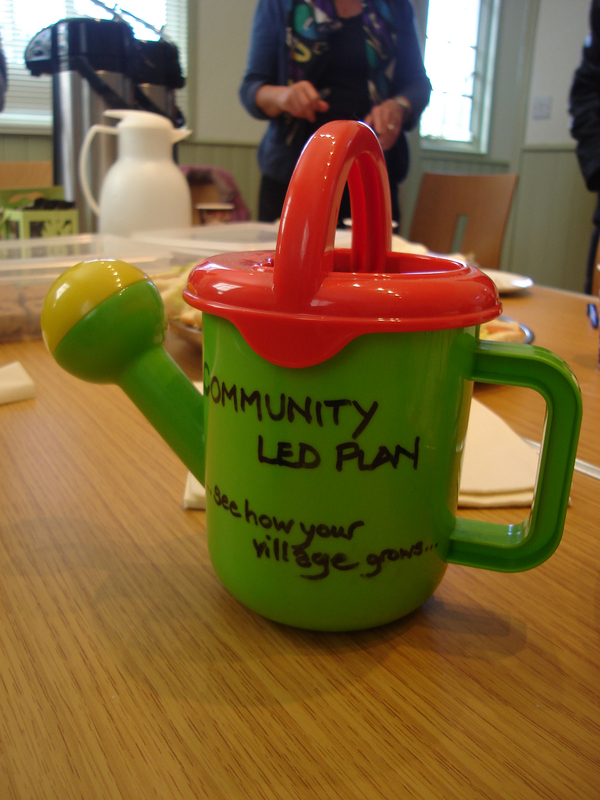 The Glass-House worked with local people in Kirdford to develop a deeper understanding of the issues they experience every day in their village, and to translate these into ambitions and actions through their Community Led Plan and the development of a Village Design Statement. 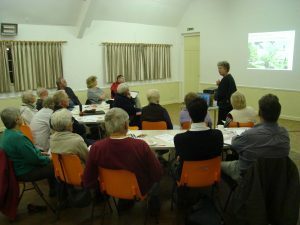 Kirdford is a tranquil and isolated rural parish in West Sussex where members of the community came together to explore how they could ensure that their neighbourhood remains sustainable in the long term. 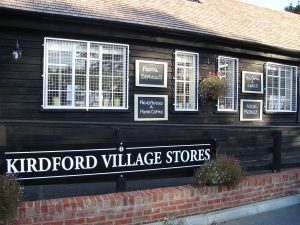 Their first project was a new community-owned shop with café and meeting space, which won the “Best Corner Shop” award in a national annual celebration of Britain’s best small shops in 2011. 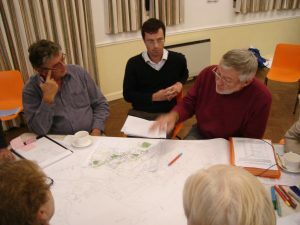 To guide their neighbourhood’s future and influence decision-making at the local planning authority, the group decided to develop a Community Led Plan, which could address pertinent issues relating to the location(s) of future development, as well as thinking more structurally about service provision, such as public transport, shops and schools. The group approached The Glass-House for support with their Community Led Plan in 2010. Together we planned a programme of events with a focus on design and quality of place that included a walkabout and two workshops, delivered with our Enabler, Liz Kessler. 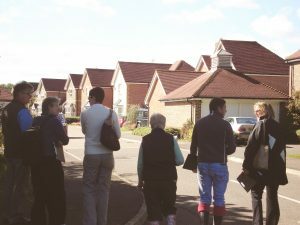 The walkabout was designed to enable residents to look at their village with fresh eyes and to build consensus around what is important for the village to retain, build on, and improve, and to use this insight to think about the future shape of the village. The workshops created an opportunity for residents to come together and share their concerns and hopes for Kirdford, whilst building a bank of information, ideas and best practice that would inform their future actions as a village. In 2012, we supported the group again, to support a conversation with neighbouring parishes to ensure that their respective, emerging neighbourhood plans were complementary and collaborative. The group’s deep-seated commitment to involving residents and stakeholders ensured that the support we offered built on existing relations and encouraged the involvement of new people and organisations. The workshops helped residents to understand the issues faced by the village and provided opportunities for taking everyone’s opinion into account in the development and compilation of a Village Design Statement and their Community Led Plan. The group expressed that the quality of output from residents was improved and that the series of activities developed and strengthened the communal vision for the village, expressing it through words and visual material that the group did not feel confident to produce without support. They developed a Village Design Statement which was adopted by Chichester District Council in 2011 and commended by its cabinet. The draft Community Led Plan laid the foundations for the development of a neighbourhood plan (enabled by the 2011 Localism Act). Kirdford Neighbourhood Plan was adopted in 2014.